At Lansdale Automotive, we have years of experience with transmissions of most cars and light trucks. We will accurately diagnose and service your vehicle utilizing the most cost effective methods possible. We pride ourselves on providing honest, reliable service in order to get you back on the road. Many times what looks to be a transmission problem is actually an electronic sensor problem. We love to see the faces of our clients when we tell them their transmission will be fixed with a $100 part! We service foreign and domestic makes, standard and automatic transmissions, from preventative maintenance to transmission replacement and rebuilding. We have invested in state of the art computer diagnostic systems for most domestic as well as foreign cars. All of our mechanics are trained to utilize the latest computerized diagnostic equipment and are highly trained in modern repair methods. Preventative Maintenance helps to extend the life of your transmission and can help identify problems before they become emergency issues. This includes fluid and filter replacement and service, which most manufacturers recommend every 30,000 miles. Georgetown’s heat and stop-and-go traffic take a toll on your transmission and the transmission fluid that lubricates and cools your car’s transmission. Over time, the fluid breaks down and the additives that once protected moving parts from wear can become problematic, creating sludge that can lead to a breakdown. This is definitely a situation where a little prevention can save you time and money down the road. Transmissions are complicated assemblies of machinery and there are many reasons to consult Lansdale Automotive. If your transmission won’t go into, or stay in gear; shifting is difficult or delayed; your gears are grinding or the clutch on your manual transmission doesn’t seem to be working properly, your transmission needs attention. Give us a call and we’ll be happy to work with you. Excessive wear and damage can sometimes necessitate a transmission replacement. You can trust that our computer diagnostic tools and experience will only indicate major repairs and replacements if it is necessary. * Regularly inspect the fluids of your transmission. In order to properly check those fluids, refer to your Owner’s Manual. * If you are driving under high stress conditions, be sure to change the transmission fluid more often. Some high stress conditions might include driving frequently in stop and go traffic, or in a terrain that is hilly, during excessively hot weather, or when towing or hauling trailers or heavy loads. * If you do tow or haul trailers or heavy loads, be aware that this can cause an excessive amount of heat to build up in your transmission. This heat causes transmission fluid to either be damaged, or to be lost, or perhaps a little of both. Therefore, immediately after towing a load, check your transmission fluid as soon as possible, no later than by the next time you fill up for gasoline. * Consider having an external cooler installed, especially if you frequently drive in high stress conditions. The external cooler helps to reduce friction and heat, thereby prolonging the life of your transmission. * Keep your engine tuned properly. If an engine is not running properly, it can exhibit symptoms similar to a malfunctioning transmission. * At least two times a year, take your vehicle to be checked for leaks. * When the vehicle is in park mode, use your parking brake. * Allow your car time to warm up before you drive it. * If you notice any signs that your transmission may not be running properly, do not try to play mechanic. 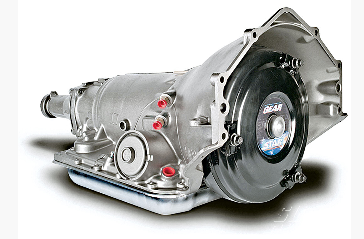 Bring your transmission to the professionals at Lansdale Automotive to be checked, and bring it as soon as possible. It is a proven fact that your repair bills tend to increase in proportion to the amount of miles you continue to drive the car after the first symptoms of trouble. This only makes sense, because the longer you push your malfunctioning transmission, the more damage will occur, and the more money it will cost to repair the transmission. What would have been a simple repair job, or maybe even just a fluid replacement job, could end up being an entire transmission replacement. Don’t Take Chances With A “Funny Acting” Transmission!